This small park is a peaceful sanctuary next to the business district. 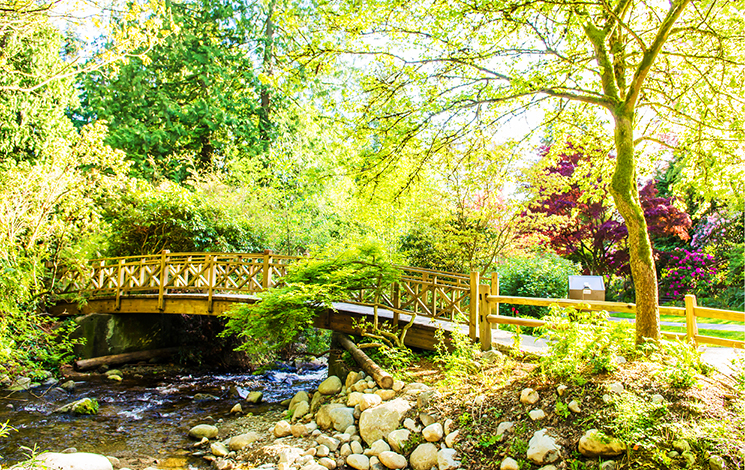 Take a short walk along the east bank of MacDonald Creek through a plantation of rare and colourful rhododendrons and azaleas and watch Coho salmon and Cutthroat trout in the Centennial Salmon Rearing Pond. 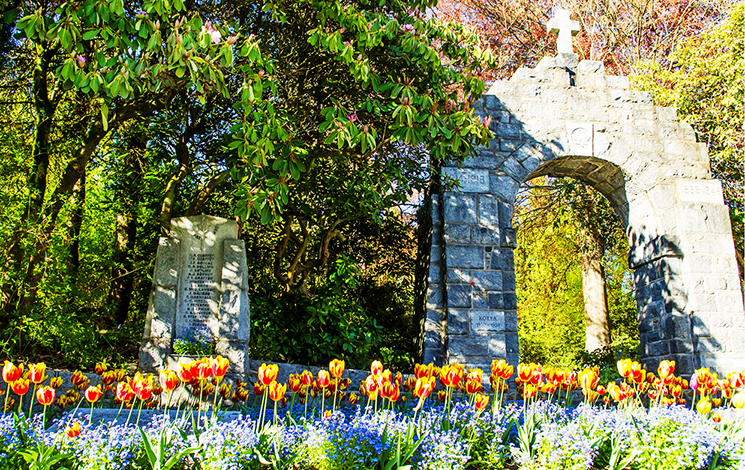 On Remembrance Day, the arch in Memorial Park becomes a gathering place to remember the fallen West Vancouver men and women who fought during World War I and II and the 516 Canadians who died during the Korean War. For more information, visit the events calendar. 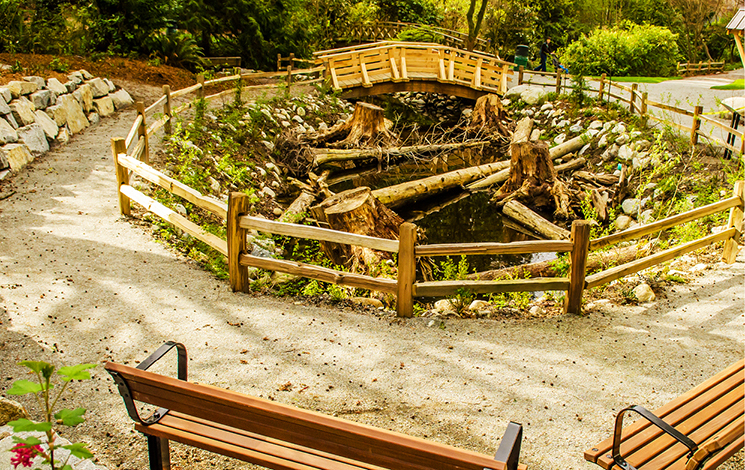 The Centennial Salmon Rearing Pond is a wonderful spot to watch juvenile Coho Salmon and Cutthroat trout. Check out the Centennial Rearing Pond, which provides a restful habitat with consistent water flow for juvenile Coho salmon, Cutthroat trout and the aquatic insects on which they feed. Pay tribute to the fallen at this cenotaph commemorating the World Wars and the Korean War. Grab your lunch and take a timeout from your busy schedule at this scenic and centrally located park. A ramp will be installed between Marine Drive (west of the Cenotaph) and the upper plaza seating space in 2019. Parks staff are currently working on possible ramp configurations and coordinating with the West Vancouver Legion (Branch 60) to ensure that the ramp meets the needs of the Remembrance Day Ceremony procession. A plinth dedicated to those who fought during the Korean War (1950–1953) is scheduled for installation concurrently with the ramp. Memorial Park is located opposite the Memorial Library at 1950 Marine Drive. Please keep your dog on-leash at all times and remember to always pick up what your dog puts down. Visit Dogs in Parks for a list of off-leash areas in the community. Visit Stewardship for more information on the Centennial Salmon Rearing Pond and other stewardship groups and initiatives.